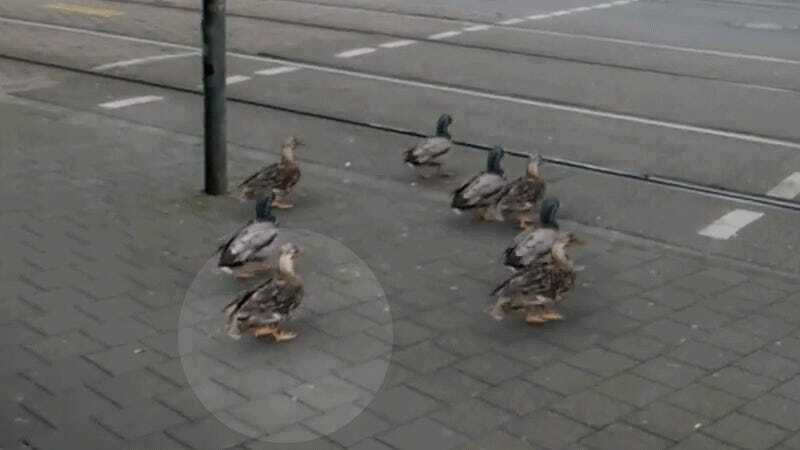 Have you seen this video of ducks in Germany waiting for a green light before they cross the street? It’s gone viral, getting tens of thousands of views on Twitter and over 2.5 million views on Facebook. But the video is totally fake. The ducks are computer generated. Don’t believe me? Take a closer look at the duck we’ve highlighted below. It’s clearly sliding around like a glitchy video game character from the early 2000s. 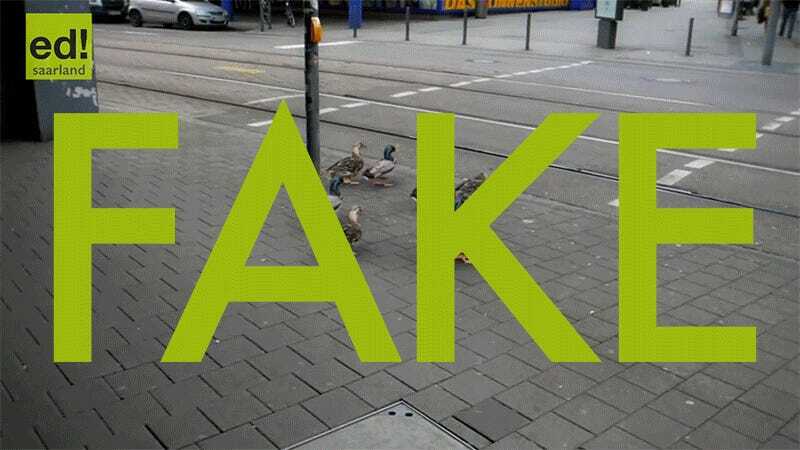 In fairness, it’s not easy to tell that the ducks are fake from the videos that are currently circulating on Twitter, which are simply too pixelated to see clearly. But if you watch the video on Facebook or YouTube, it’s blindingly obvious. As the viral debunker account HoaxEye first pointed out on Twitter, the video looks to be the work of a German marketing company called Medien Saar. Why would they make the video? We still don’t know. Some people think it might be a “traffic education video,” but it’s still unclear. If you ask me, it just looks like a video that was meant to go viral. Gizmodo has reached out to the marketing agency and will update this post if we hear back. Yes, it’s a cute video. But it’s definitely fake.